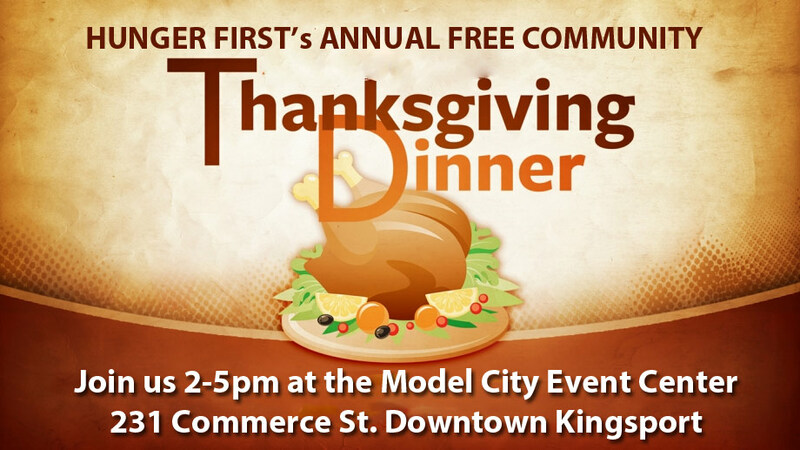 KINGSPORT — Hunger First is gearing up for its third annual Thanksgiving dinner and is inviting anyone who needs a meal or just the company of others to come join them. 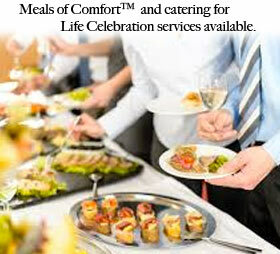 It will be held Thanksgiving Day from 2-5 p.m. at Trinity Memorial Funeral Home’s new downtown Model City Event Center, located at 231 Commerce St. in downtown Kingsport. 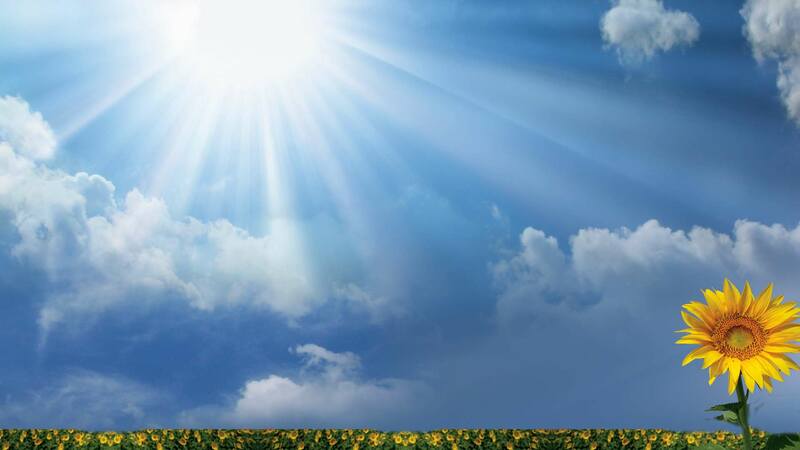 People do not have to arrive exactly at 2 p.m. to receive food. They can also get to-go boxes if they do not want to stick around for the fellowship. The no-questions asked, free store started hosting the event after founder Cindy Risk died in a car wreck. The idea to host a Thanksgiving dinner came when her three children did not want to have Thanksgiving without her. Approximately 120 people attended the event last year. Gillis said he is preparing for even more people to attend this year. Gillis said the dinner is not just for homeless or the people Hunger First takes care of. He said the event is for anybody who wishes to attend, including people who are lonely and looking for some companionship on the holidays or have nothing to cook at home. Volunteers will arrive at the Outdoorsmen Club early Thanksgiving morning to start preparing the food. 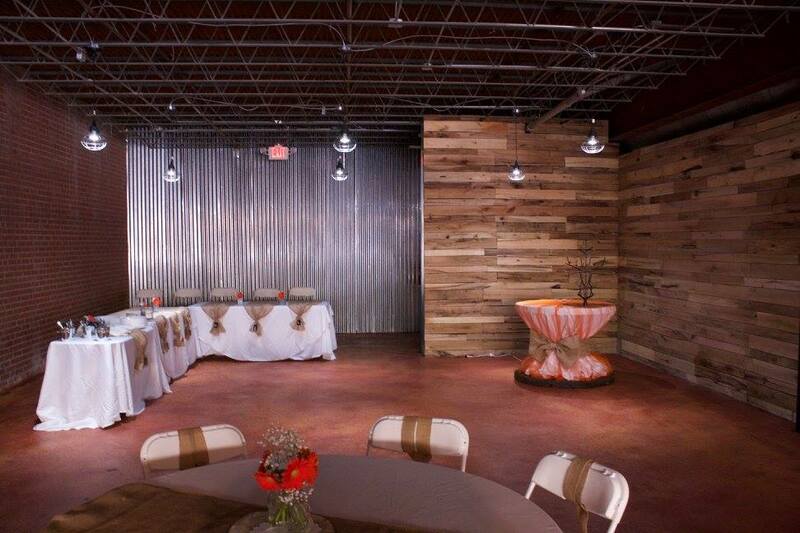 It will then be transported over to the Model City Event Center where it will be served. Last year, Hunger First prepared 15 turkeys for the dinner. Dishes served on that day include turkey, mashed potatoes, gravy, green beans, corn, stuffing, dressing, rolls, potato salad, pumpkin pie and apple pie, among other items. Any leftovers will be given to those who ask for it. Gillis said the dinner would not be possible without the help of a number of people. He would like to thank the gentlemen at the Outdoorsmen, Howard Reynolds and his family, Weston Leonard owner of Trinity Memorial Funeral Home who is donating use of their new downtown Model City Event Center, members of Harvest Community Church, Jeremy Jones, who owns Woodstone Deli, Phil’s Dream Pit, East Tenn Rent-Alls/Celebrate and all the volunteers past and present. 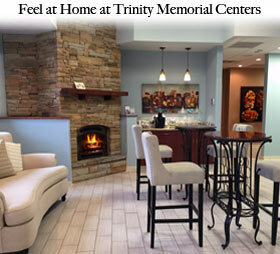 Trinity Memorial’s Life Celebration Center in the heart of downtown.